Coming from a picnicking, backpacker travel heritage, it's taken me decades to recognize the value of a fine meal. Now I can enthusiastically embrace a long, drawn-out "splurge meal" as a wonderful investment in time and money. Nowhere is this more true than in France. French cuisine is sightseeing for your taste buds. You're not just paying for the food — it's a three-hour joyride for the senses — as rich as visiting an art gallery and as stimulating as a good massage. 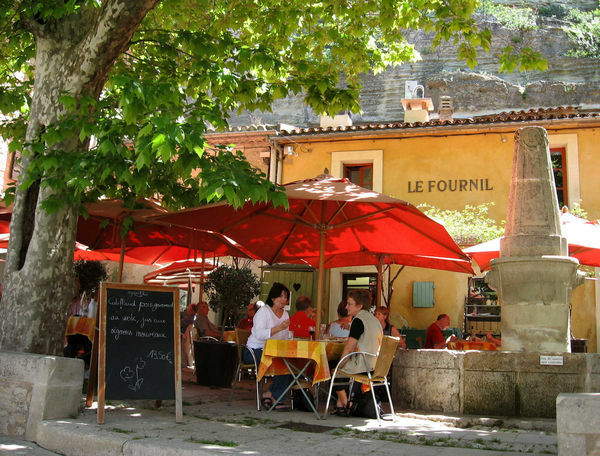 Some Americans are intimidated when they go to a fine French restaurant, but they needn't be. Many waiters speak English and are used to tourists. 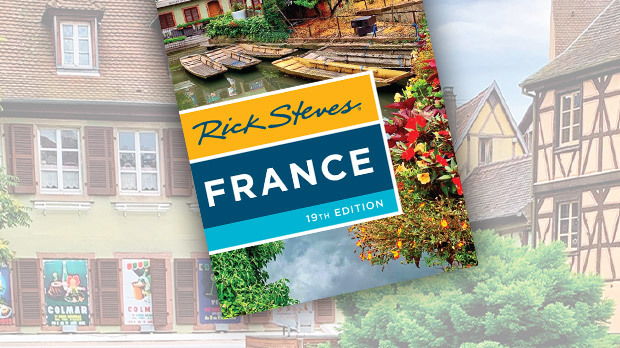 Here's what my friend and co-author, Steve Smith, and I recently experienced at a fine restaurant in Amboise, in the midst of France's château-rich Loire Valley. French restaurants are commonly only open for dinner between 7 p.m. and 9 p.m. — so it's smart to make a reservation for a splurge meal. In France, you can order off the menu, which is called a carte, or you can order a multicourse, fixed-price meal, which, confusingly, is called a menu. Steve ordered a basic menu and I went top-end, ordering off the carte. French service is polished, professional, and polite, but not chummy. Waiters are professionals who see it as their job to help you order properly for the best possible dining experience. If you get a cranky waiter...join the club. Even the French love to complain about grouchy service. Aurore, our waitress, was no grouch. She smiled as I ordered escargot (snails) for my first course. Getting a full dozen escargot rather than the typical six snails doubles the joy. Eating six, you're aware that the supply is very limited. Eating twelve, it seems for the first eight like there's no end to your snail fun. Add a good white wine and you've got a full orchestral accompaniment. My crust of bread lapped up the homemade garlic-and-herb sauce. I asked Aurore how it could be so good. With a sassy chuckle she said, "Other restaurateurs come here to figure that out, too." Then she added, "It's done with love." While I've heard that line many times, here it seemed believable. In France, slow service is good service (fast service would rush the diners and their digestion). After a pleasant pause, my main course arrived: tender beef with beans wrapped in bacon. Slicing through a pack of beans in their quiver of bacon, I let the fat do its dirty deed. A sip of wine, after a bite of beef, seemed like an incoming tide washing the flavor farther ashore. My crust of bread, a veteran from the escargot course, was called into action for a swipe of sauce. Italians brag about all the ingredients they use. But France is proudly the land of sauces. If the sauce is the medicine, the bread is the syringe. Thanks to the bread, I enjoyed one last encore of the meat and vegetables I'd just savored. 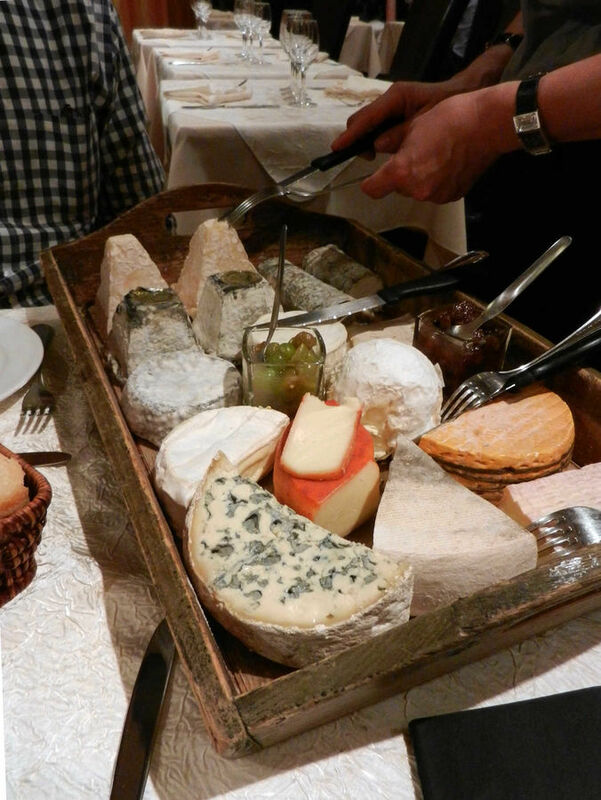 Shifting my chair to stretch out my legs, I prepared for the next course — a selection of fine cheeses. It sounds like a lot of food, but portions are smaller in France, and what we cram onto one large plate they spread out over several courses. Aurore brought out her cheese platter. It was a festival of mold on a rustic board; the vibrant-yet-mellow colors promising a vibrant array of tastes. With the cheeses there was a special extra item: raisins soaked in Armagnac brandy. The lovingly sliced collection of cheeses arriving on my plate made me want to sing (but out of consideration for Steve, I didn't). Then came dessert. Mine was a tender crêpe papoose of cinnamon-flavored baked apple with butterscotch ice cream, garnished with a tender slice of kiwi. That didn't keep me from reaching over for a snip of Steve's lemon tart with raspberry sauce. Even though we'd finished our dessert, Aurore didn't rush us. In France, as in most of Europe, your waiter will not bring your bill until you ask for it. For those in a rush, here's a good strategy: When you're done with your dessert, your waiter will ask if you'd like some coffee. This gives you the perfect opening to ask for the bill. Our entire meal cost us about $60 each. You could call it $20 for nourishment and $40 for three hours of bliss. 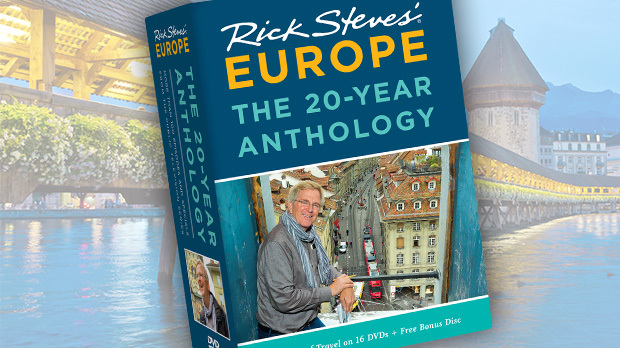 Even if you're not a "foodie," I can't imagine a richer sightseeing experience, one that brings together an unforgettable ensemble of local ingredients, culture, pride, and people.